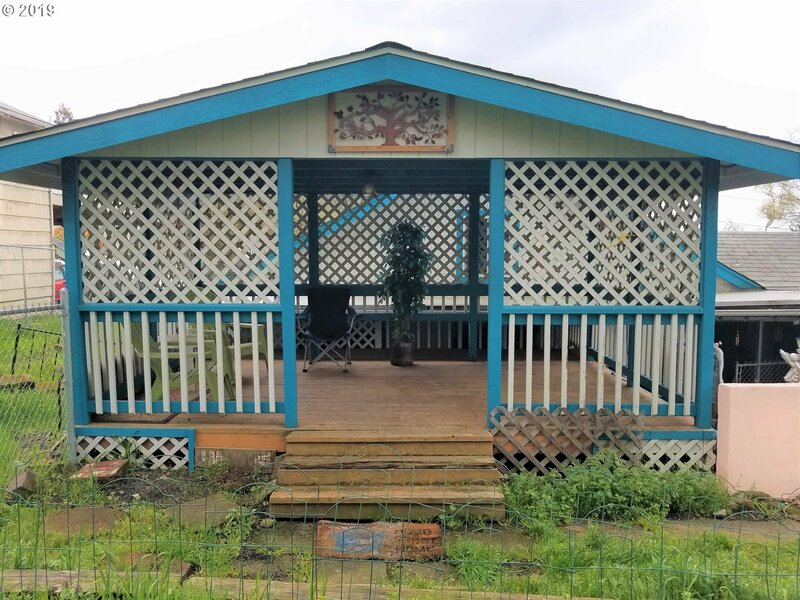 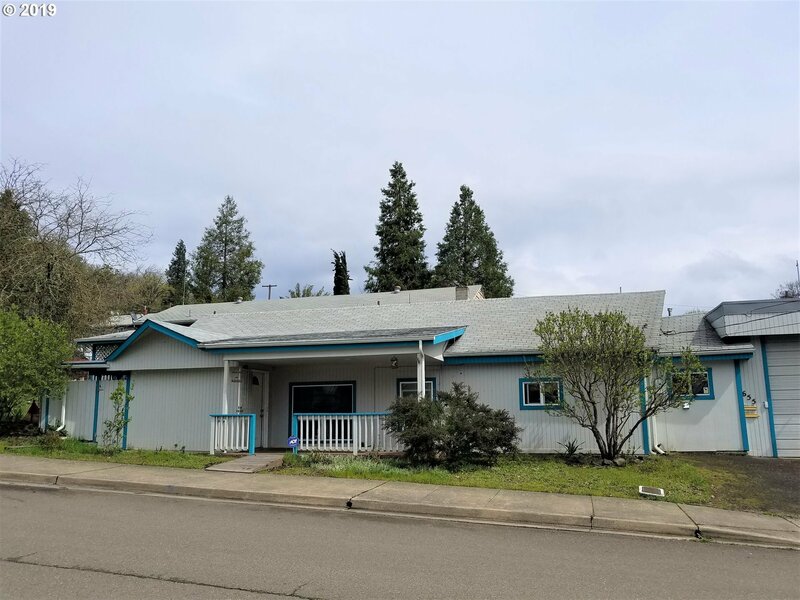 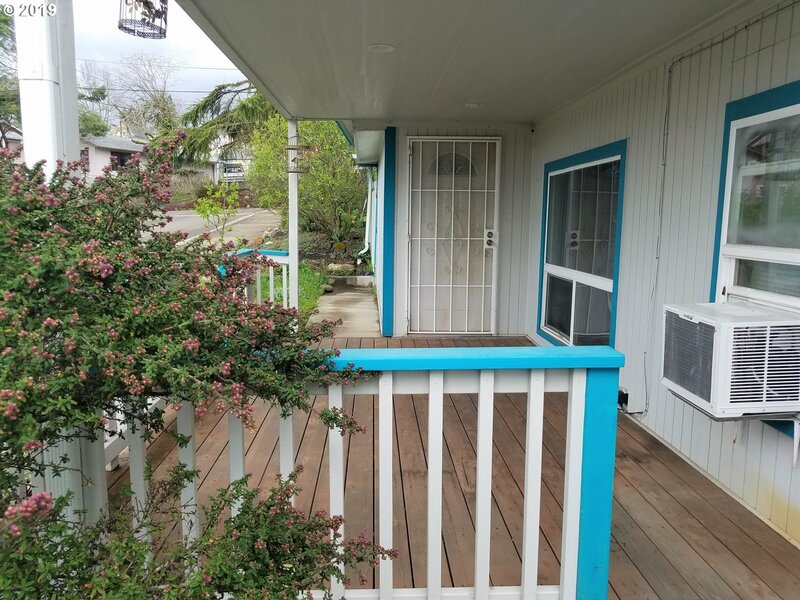 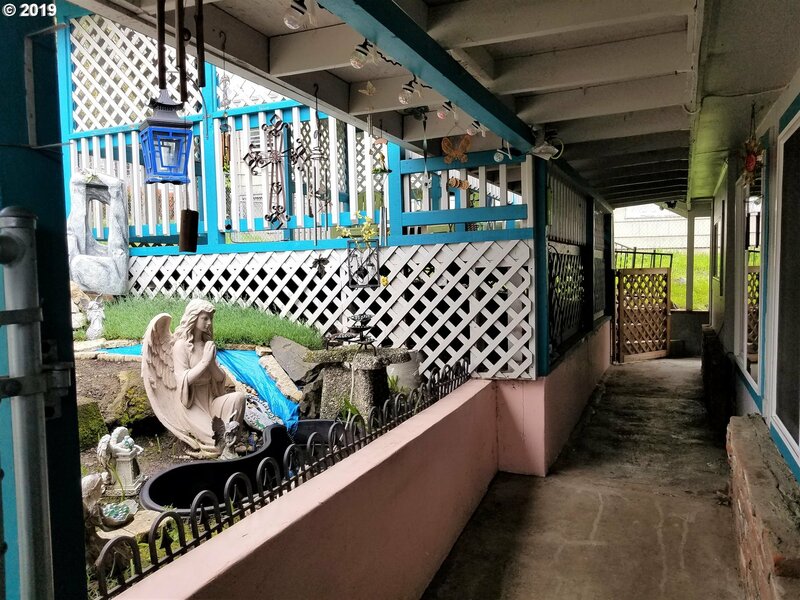 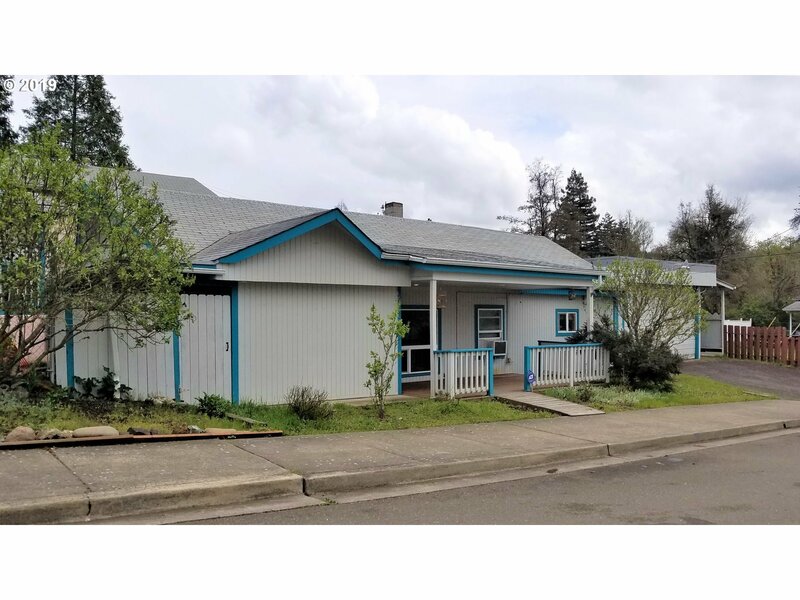 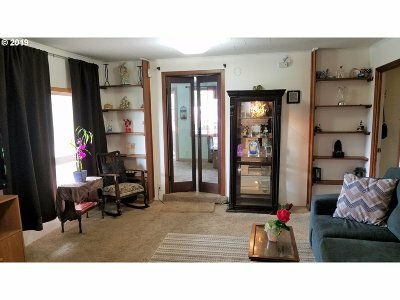 Single level home on a large corner lot. 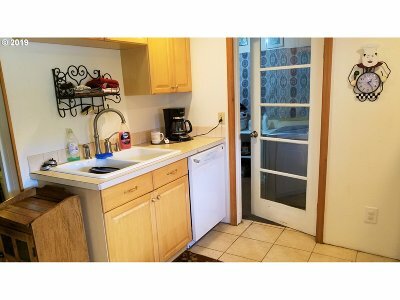 Two glass doors enter into the living room which is open to the nice sized kitchen that has counter seating and tile floors. 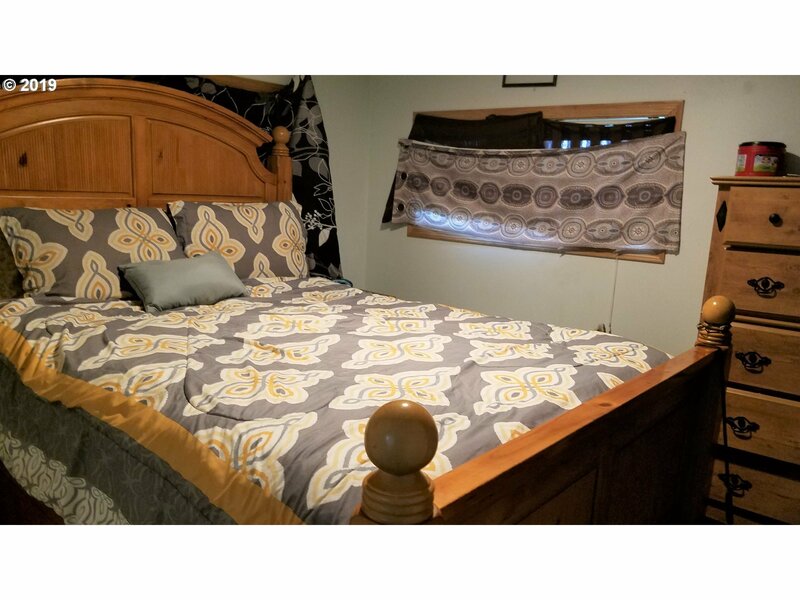 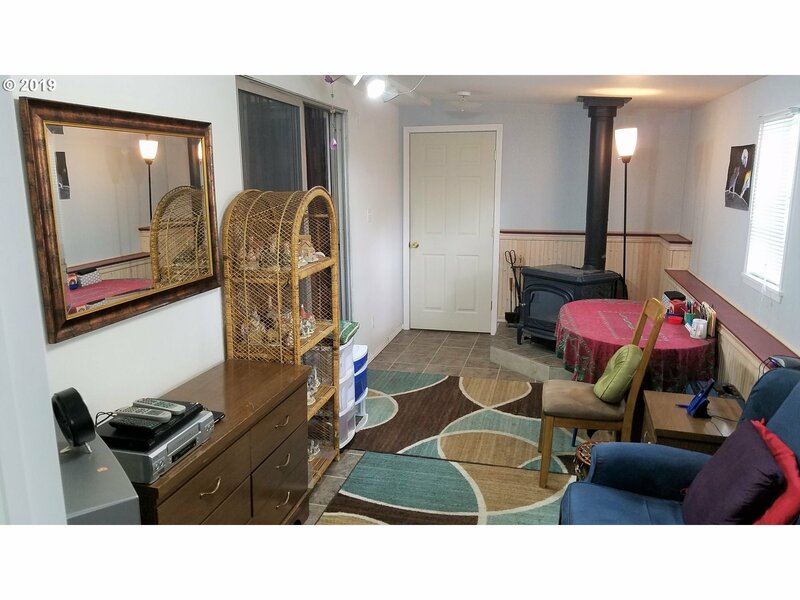 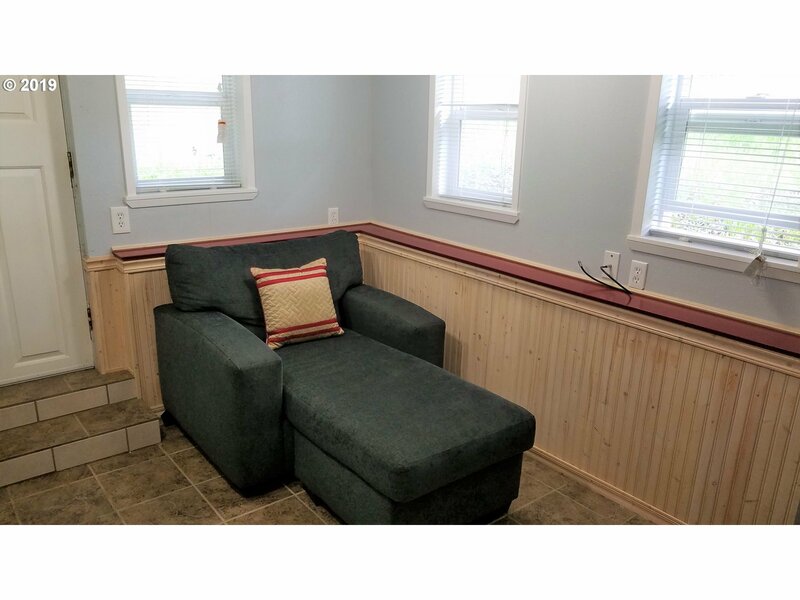 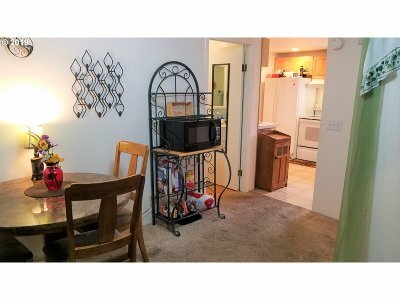 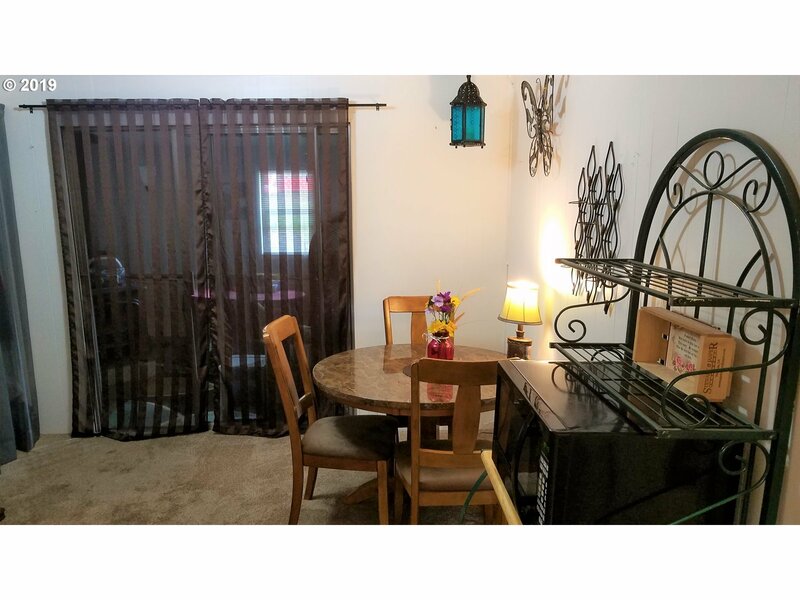 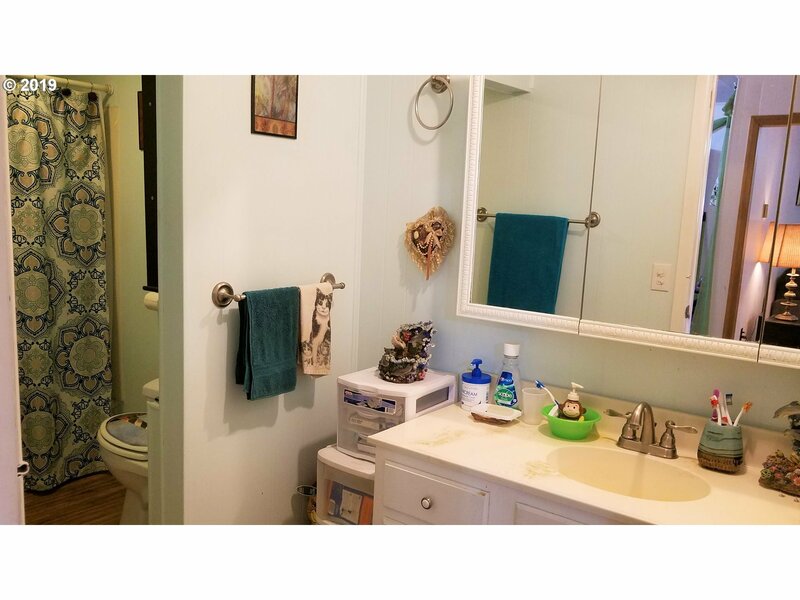 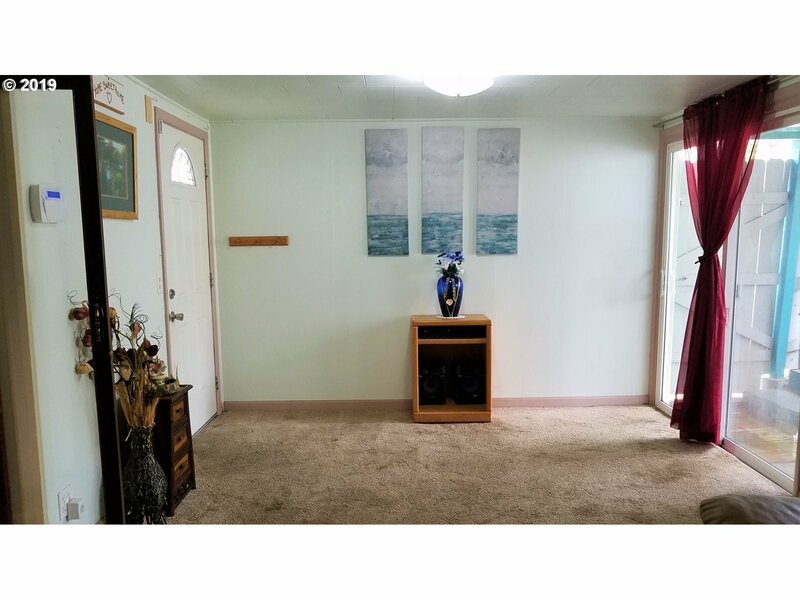 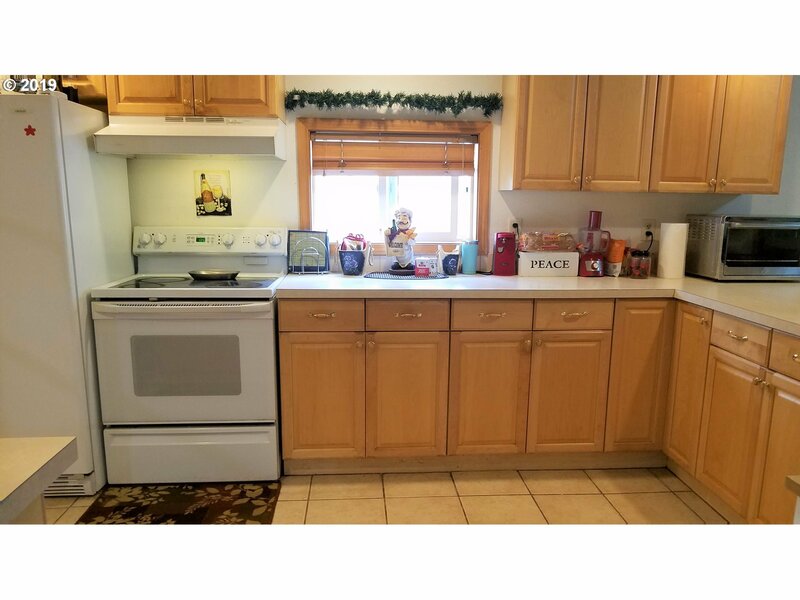 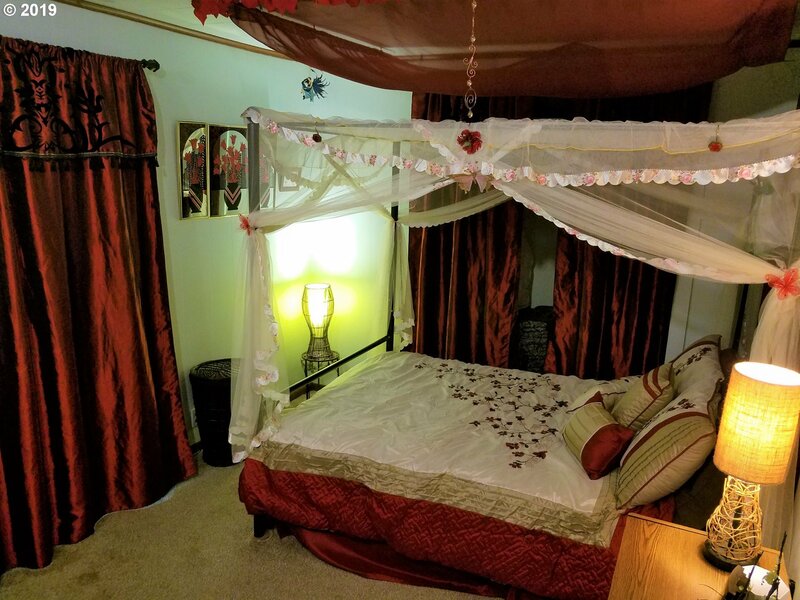 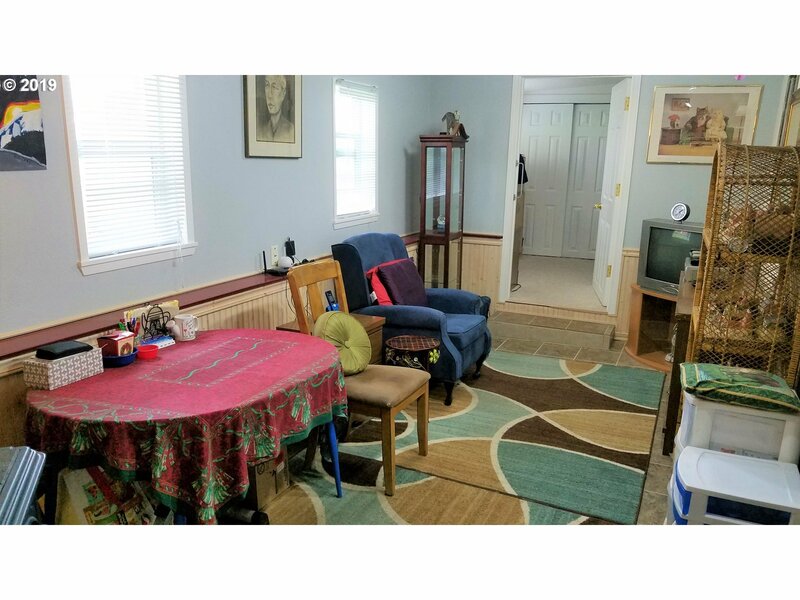 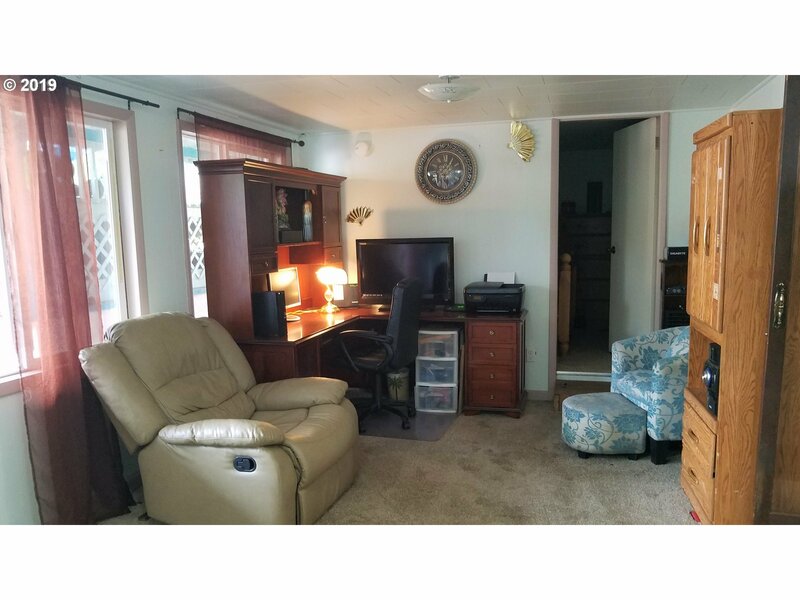 Two bedrooms have attached 'bonus rooms' with tile floors & wainscoting. 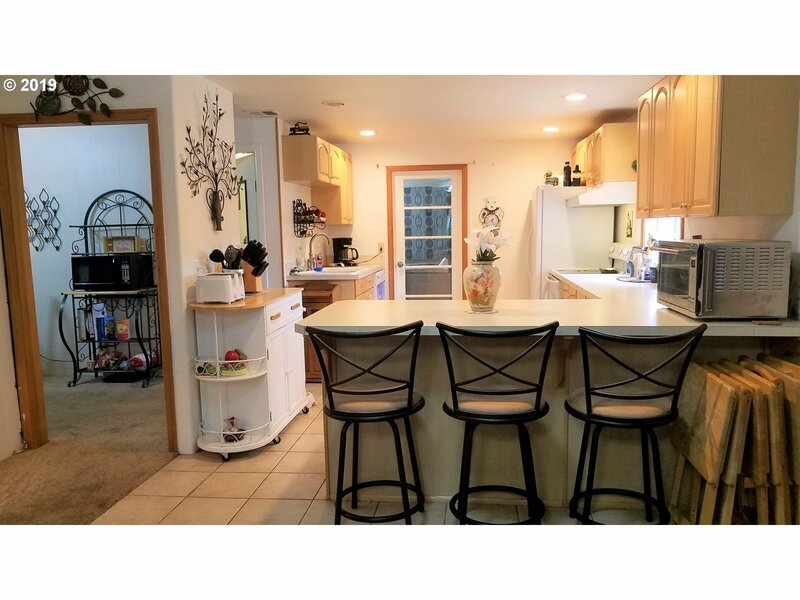 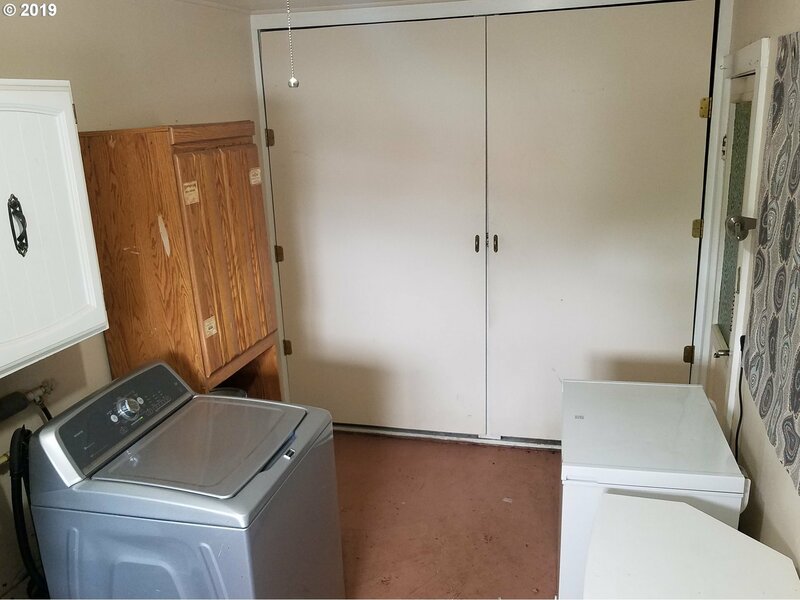 Laundry room, pantry, fenced back yard & covered outdoor seating. 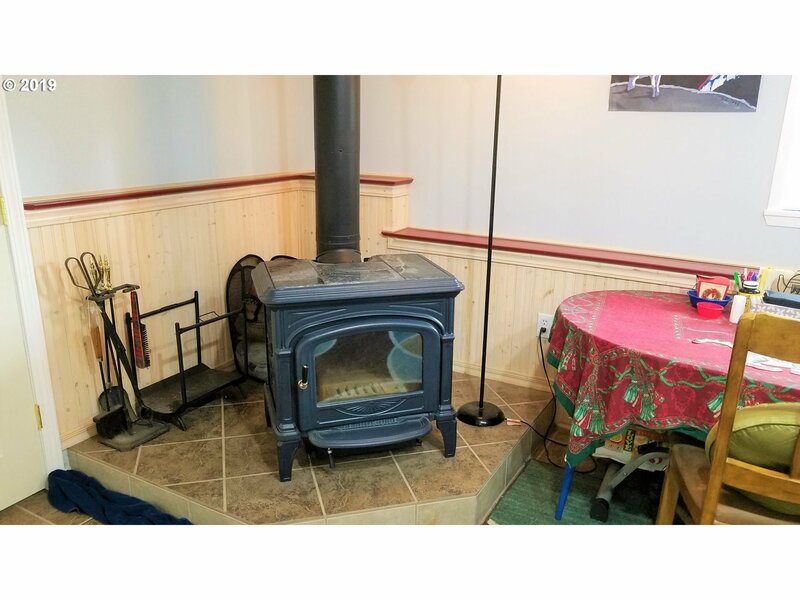 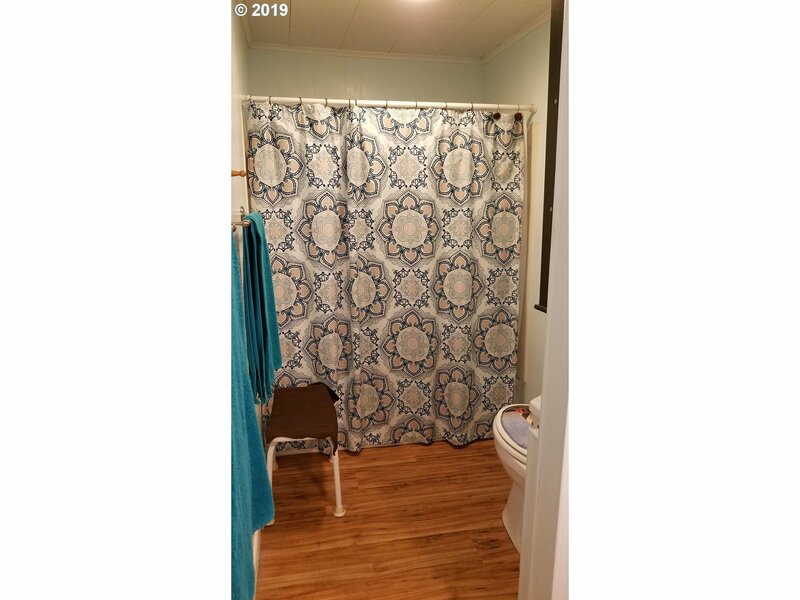 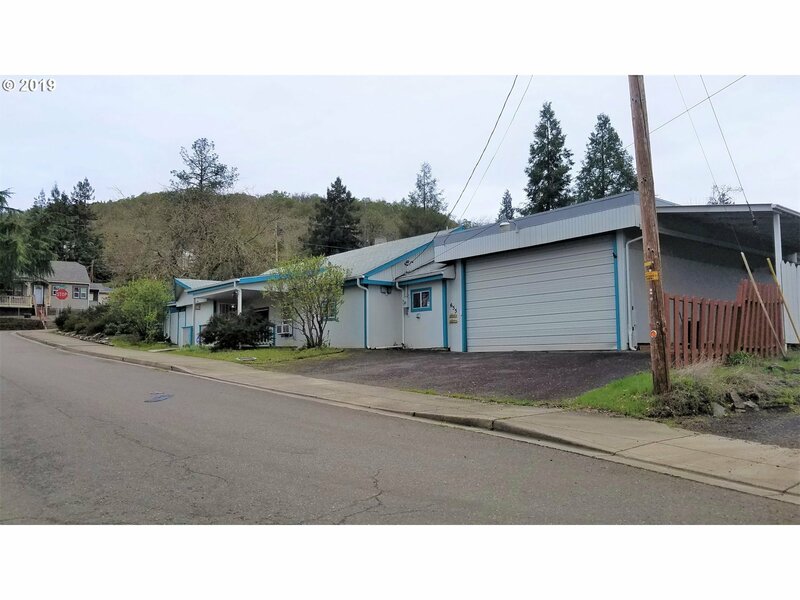 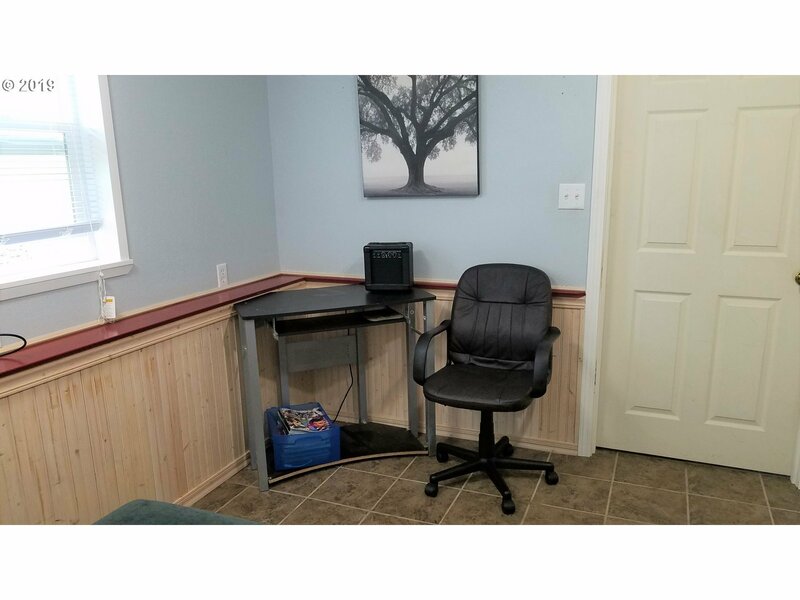 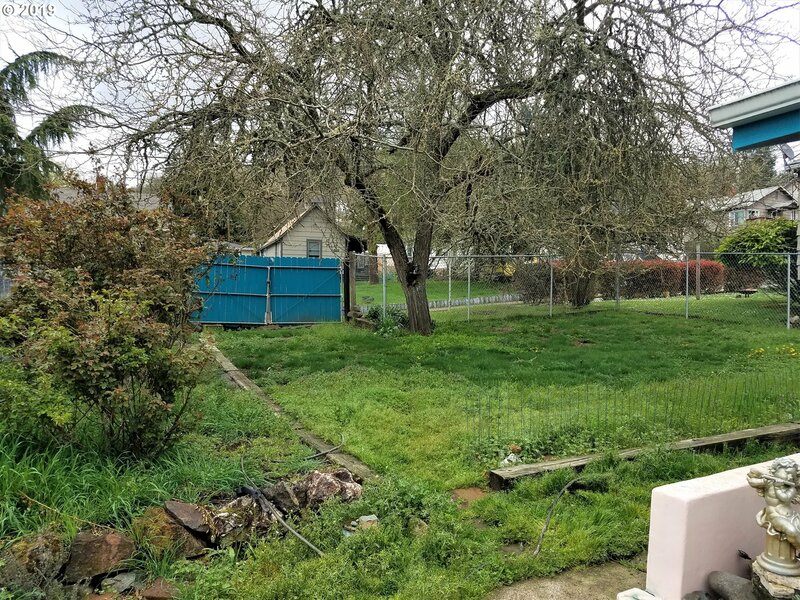 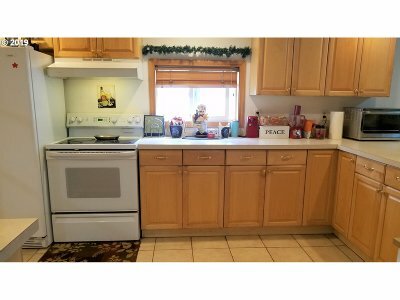 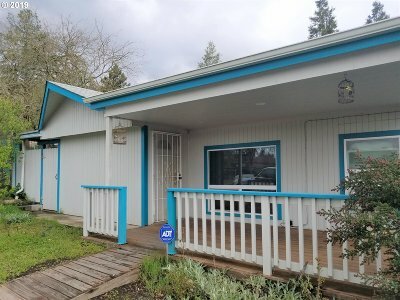 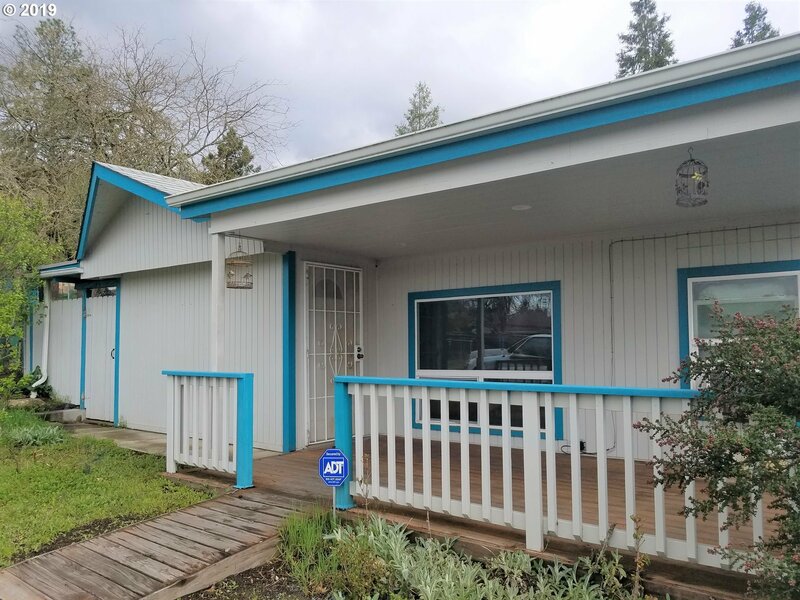 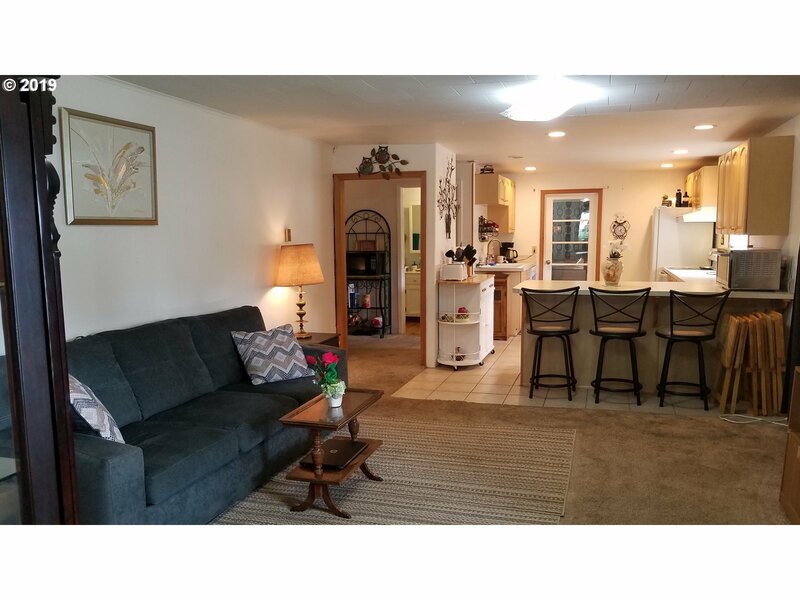 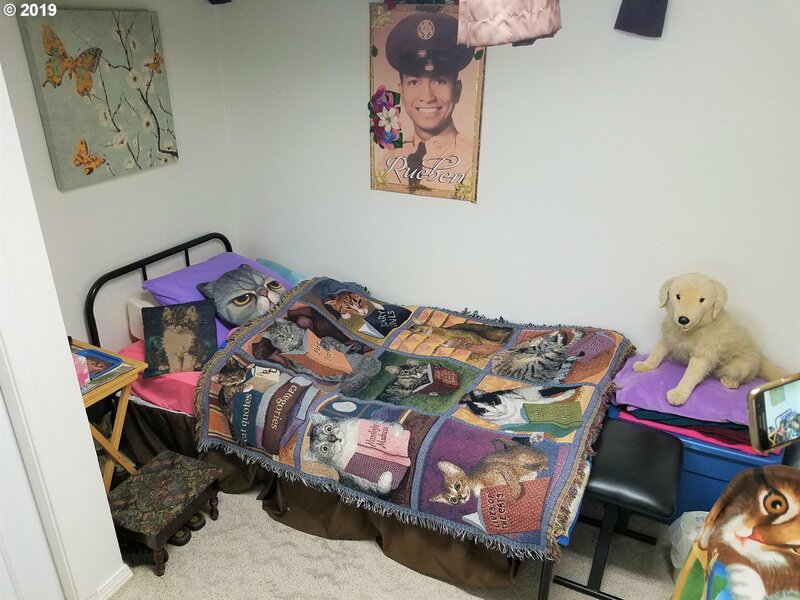 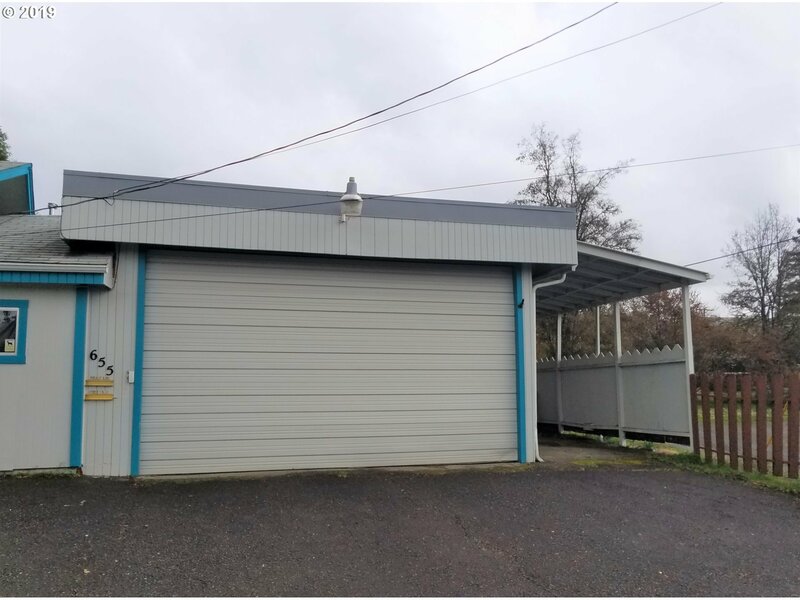 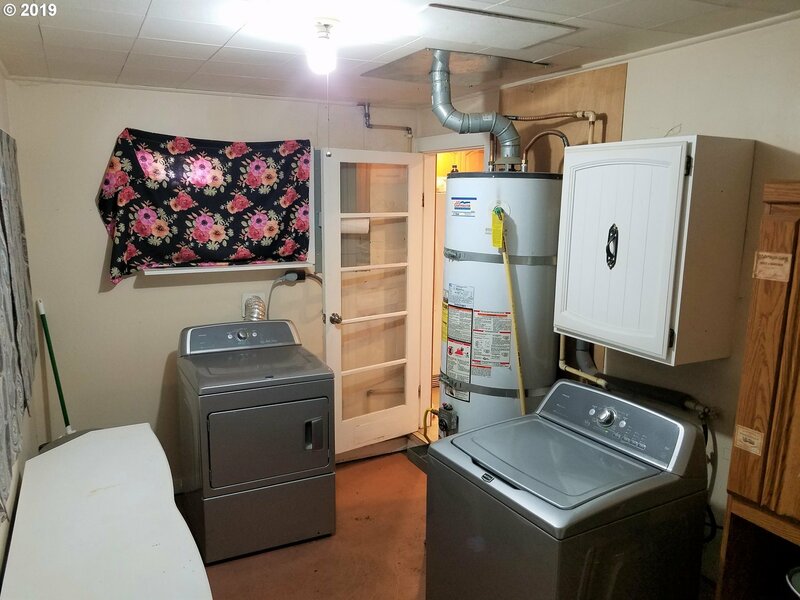 Large garage with a 10' x 20' door, 50 amp service, covered RV parking with a sewer connection. 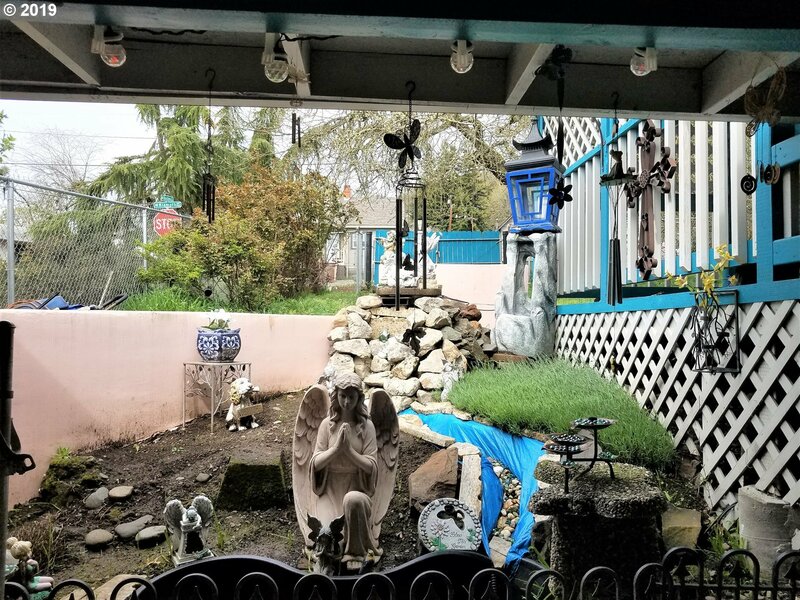 There is a lot to see in this house!